People who look and feel their best just seem to feel better about the world around them. More confident. More joyful. Regardless of what life stage you’re in, we offer a variety of cosmetic procedures that are patient-focused, technology-driven, and designed with you in mind. Botox® is a popular nonsurgical injectable that temporarily reduces or eliminates frown lines, forehead creases, crow’s feet near the eyes and thick bands in the neck. A popular hyaluronic acid dermal filler, Juvederm® can be used anywhere on your face where you need a little more “plumping,” including smile lines, marionette lines, lips, chin, jowls, and jawline. The first and only dermal filler to correct age-related volume loss in the mid-face for up to two years, to create a smoother contour and more youthful appearance. 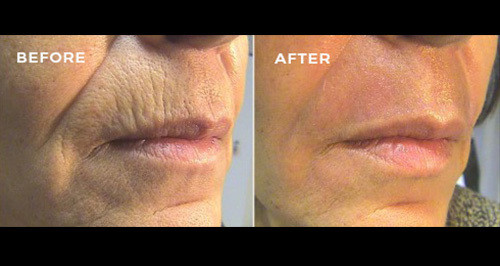 This injectable filler provides a desirable improvement in the contour of your lips, boosting volume, smoothing vertical creases (smoker’s lines), and achieving symmetry – all in a single comfortable treatment. Have you ever looked in the mirror and wished you had longer, fuller lashes? Are your lashes thinning over time? Do you feel like you’re a slave to your mascara? Well, then LATISSE® may be right for you! LATISSE is an FDA-approved, apply-at-home treatment that can significantly lengthen, thicken and darken eyelashes. Like the hair on your head, eyelashes sprout, grow for a while and eventually fall out. 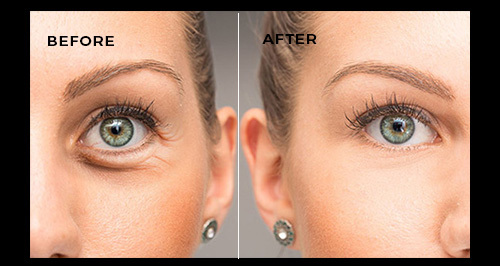 LATISSE both extends the growth phase and increases the number of hairs that sprout. A revolutionary way to EXTEND and VOLUMIZE your natural eyelashes for beautiful-looking eyelashes. Developed to mimic your natural eyelashes, each eyelash is individually applied to a single eyelash, resulting in a gorgeous, natural appearance. Customized makeup application using products that are most beautiful for you and the occasion. Our nationally trained make-up artists can provide a variety of application processes. Featuring Kevyn Aucoin makeup. An innovative skin rejuvenation treatment, microneedling is a form of Collagen Induction Therapy that significantly improves the appearance of sun damage, fine lines, wrinkles, acne scars, and stretch marks. 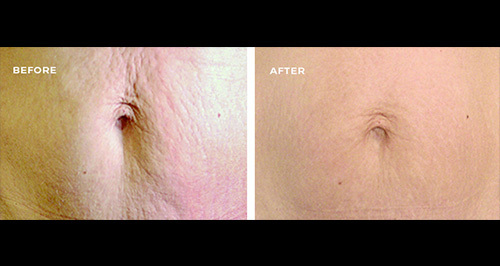 A minimally invasive treatment that requires little downtime. Microneedling encourages the natural production of new collagen and elastin in the skin. The remodeling process begins almost immediately. Safe and minimally invasive, microneedling allows for controlled stimulation of the skin’s natural wound healing process by creating controlled, micro injuries in the skin. At Acadiana Health & Aesthetics, we utilize the SkinPen® system, the only legally cleared and FDA approved microneedling device. The SkinPen® is gently pressed against your skin and uses straight needles to penetrate at a 90-degree angle. This encourages your skin’s natural ability to heal by producing new collagen and elastin fibers, boosting your skin to look and feel healthier. There is no tissue destruction with this treatment. The small channels in the epidermis close very quickly and the skin begins a healing response immediately. It can be safely used on all parts of the body the face, neck, and décolletage (the area of your chest that is exposed when you wear a top with a lower neckline). Depending on the health of your skin, for optimal results, we recommend a series of 3 to 6 microneedling treatments spaced approximately 4 weeks apart. We will help you develop a custom treatment plan, along with a maintenance plan to help you maintain the rejuvenating effects. At Acadiana Health & Aesthetics we’ve carefully selected SkinMedica and Obagi as our chief skin care lines, and use them solely in all of our facials. All Facials include an in-depth skin analysis, cleansing and exfoliation to the neck, face, and décolleté. For a quick, no downtime cleanse and moisture brew, when you don’t have time for a full-throttle facial. Our Lunch Time Mini Facial features dual cleansers, toner, steam, exfoliation, moisturizer and sun protection. Wake up your skin with our Basic Facial, designed especially for you. Your aesthetician will complete a thorough Skin analysis to determine your specific skin care needs, then select the appropriate cleansers, masks and serums to treat your skin type. For that handsome hunk! This male dedicated facial links together deep pore cleansers, exfoliators, and masks TOUGH enough for a man, mixed with male-strength serums and moisturizers to leave your skin purged of impurities and looking youthful and fresh. Hot steam towels, extractions and a relaxing neck and shoulder massage round out the experience. As a bonus: it is great for treating ingrown facial hair. What a MANtastic experience! Rewind the hands of time with an intense regimen of line minimizing peptides, firming and toning antioxidants to strengthen and rebuild tissue. Ideal for clients that desire luminous, hydrated, and youthful skin. Take your skin to the next level with combination serums and dual task masks to fight age-related wrinkles and fine lines. Our result oriented cleanses, toners, exfoliators, and moisturizers will protect your skin, leaving it dewy and youthful. Immediate gratification for anyone who just can’t wait! It’s time to break up with your breakouts! Acadiana Health & Aesthetics uses a highly effective combination of salicylic acid, extractions, anti-inflammatory serums, therapeutic steam towel treatment, skin balancing methods, and growth factors to repair and strengthen skin. Get back in the driver’s seat and back in control of your complexion. Perfect for that little backless dress or muscle shirt! Our Custom Back Facial starts with deep cleansing that specifically aims to target your individual back needs. It also includes a hot therapeutic steam towel treatment, balancing and rejuvenating the back and a shoulder rub, salicylic cleansers, toning, exfoliation, mud mask, extractions, moisturizers and sun protection. Rejuvenate your skin’s appearance with safe, effective medical grade chemical peels from SkinMedica and Obagi. Applied to the skin topically, chemical peels are formulated to cause the skin to exfoliate and ultimately peel off. This process reveals new, healthy skin with a smoother, fresher appearance. From fine lines and wrinkles to sun damage and acne scarring, chemical peels help minimize the visible signs of aging. We currently offer two SkinMedica chemical peels and an Obagi peel, each with its own unique formula. A gentle and effective peel. Maximum results are achieved with three to six peels. Dermaplaning is a gentle, safe and effective form of exfoliation with added benefits of removing “peach fuzz” hair on your face. A common misconception is that the hair will grow back thicker, which is false. By removing the top-most layer of dead skin along with fine, vellus hair (aka peach fuzz) will leave your complexion smoother and brighter. A facial which features dual cleansers, toner, steam, exfoliation, moisturizer and sun protection. A masque can be added to enrich the outcome. In addition to dermaplaning, elevate this process with a light, calm, and effective peel for the skin. 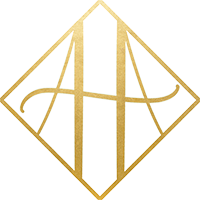 The Signature Service Packages are available for purchase by anyone seeking services at Acadiana Health & Aesthetics Medical Spa. The packages are 12-month terms and have no cash value, are non-transferable and cannot be refunded. All savings are calculated on full retail prices of procedures and products. Signature Service Packages cannot be combined with any other offers except Brilliant Distinctions.